It's a good day to be an expert in body language. Tonight in Denver, Colorado, President Barack Obama and Governor Mitt Romney will conduct the first debate of the General Election for President of the United States. Whether or not it shifts fortunes in any direction, one thing is certain - Body Language Experts are tweeting, writing, speaking on the phone and on television. They will be very busy tonight. If you spend any time on the ERC Facebook page, you know that I am a fan of the beautiful collaborations between The New York Times and the NYU Movement Lab. Today's paper has a wonderful article on Mr. Obama and Mr. Romney's frequently used gestures, and their effect in debates and speeches. Even good debate performances can be undercut by brief dissonance in body language. Vice President Al Gore's sigh in a debate with then Governor George W. Bush, was instrumental in shifting opinions about each candidate's debating success. Staying on the subject, but moving from Politics to the Arts, I had the chance to go to Opera America's "Day in the Life of an Opera Center" event. I couldn't stop drawing. Opera is notable for large voices, epic stories and interesting personalities. 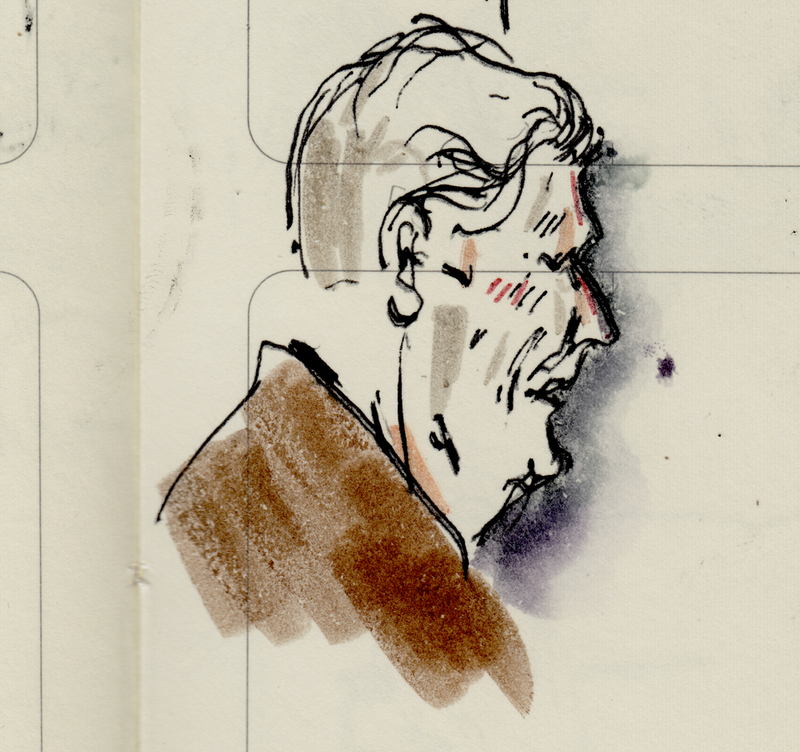 On the level of body language alone, I could spend weeks drawing baritone, Sherrill Milnes. Their "Feedback Auditions" gave great importance to posture, facial expression and general signs of body aesthetics and confidence. Almost as much as the voices, linguistic ability and acting. Within the world of Classical Music, NYU Movement Lab also analyzed conductor, Alan Gilbert. In Politics, Business and the Arts, body language sets you apart and helps tell your story.